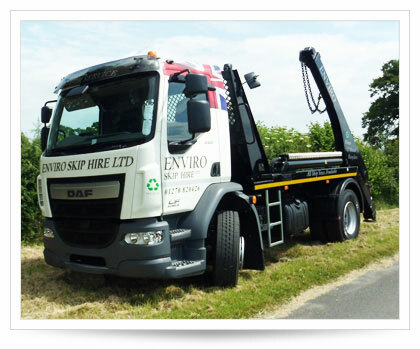 Operating from two environment agency licensed transfer stations in South and Mid Cheshire, Enviro Skip Hire Ltd is ideally located to provide fast, efficient and friendly service to homes and businesses from all over the county. From large multi-national businesses to local tradesmen and the general public, we can provide a reliable, flexible service. Our efficient approach and attitude to safe removal of waste ensures an easy process for customers from start to finish. We are fully licensed with The Environment Agency and process all the relevant paperwork for our customers to ensure removal of waste is done with safety, care and ultimately environmentally friendly. Family owned and family run, Enviro Skip Hire Ltd is number one in Cheshire and Staffordshire providing fast, friendly and efficient waste removal and processing 52 weeks of the year. With over 10 years experience we guarantee we can provide you with the quickest and best service.